Review: "Dynamic Lights: Shape" - Sea of Tranquility - The Web Destination for Progressive Music! Truth be told, I began writing this review several times during the past two months. Each attempt brought me closer to a conclusion, but I still have a tough time determining whether Dynamic Lights' Shape is a neo-prog album, a prog-metal record or an unlikely hybrid of, say, IQ and Pain of Salvation. Full of lush atmospheres, cascading pianos, flexible yet mysterious vocals and chugging rhythms, the Italian band has crafted a compelling debut that's taken me by surprise. 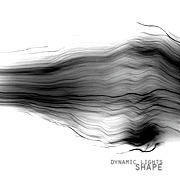 Shape opens with vocalist Matteo Infante duetting with the strong rock-chick voice (as opposed to operatic-chick or goth-chick voice) of Jamina Jansson on the nine-and-a-half-minute "In the Hands of a Siren," a song highlighed with Marco Poderi's searing fret work and Giovanni Bedetti's dramatic piano playing. Next up is "Between Two Parallels," which gives Infante a vocal workout set against a dark and heavy musical backdrop. That song lasts almost eight minutes, and all but two of the eight songs on Shape clock in at longer than six minutes; the other two are brief piano-only instrumentals that barely last two minutes each. The album's most accessible track is "One Thousand Nothing," punctuated by soaring vocals and dynamic, melodic interplay from all of the band's musicians.